One tweet by Green Party MP Caroline Lucas sums up why the UK government continues to take such a soft line over the ongoing crisis in Gaza. It has everything to do with the huge list, printed in full below, of weapons exports to Israel in 2017. Over 35,000 protesters marched towards the border fence, coming within several hundred metres. Stones were thrown as tyres were burnt, creating clouds of black smoke… The death toll on 14 May is the highest since the ‘Great March of Return’ protests began. The Conservative government has issued a response to the killings. Some people on social media were critical of its statement. But a tweet by Lucas pointed to one of the possible reasons for the UK government’s lukewarm statement. We are complicit in the slaughter - and must stop these sales immediately. It’s hard to argue with Lucas’s assertion that the UK is “complicit” in Israel’s slaughter of Palestinians. Israel Defence Forces (IDF) soldiers may well have been wearing the body armour a UK company supplied them with while they were lining up Palestinians in their UK-supplied weapon sights. Soldiers may well have fired UK-supplied small arms ammunition from their UK-supplied sniper or assault rifles. That same small arms ammunition may well have penetrated the bodies of around 1,350 Palestinians. Some of it may have been the ammunition that wounded 225 children and 79 women. And it may have been that ammunition that murdered at least 60 people, six of those children under 18 years of age. 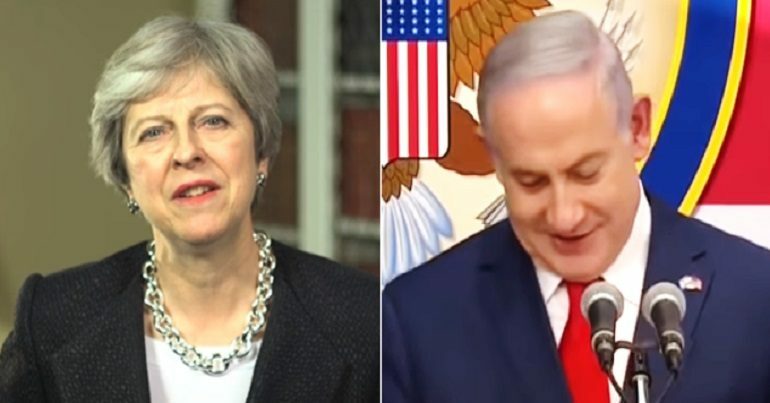 To carry out this massacre, Israel could well have been using UK-supplied communications equipment, operating out of UK-equipped military vehicles, and monitoring the Gaza Strip using UK-equipped helicopters and planes. We will not waver from our support for Israel’s right to defend its borders. Not when over £200m in arms sales is at stake, it won’t. Even if it means massacring defenceless men, women and children. – Follow the latest developments in Israel and Gaza here.